Tis the season to be jolly…but this one can occur all year round. With the festivities rapidly approaching, what are the risks for businesses with people over indulging in the celebrations with 1 or 2 too many Eggnogs and then attending work next day, some what worse for wear. What should you do if an employee turns up drunk, hungover or smelling of alcohol? Speak to them immediately and do not let them start work. Whether they are drunk, hungover, or smelling of alcohol. These are all situations that could pose a risk to themselves or others. We have a duty of care to all employees, and their health, safety and wellbeing. Is being hungover considered under the influence? 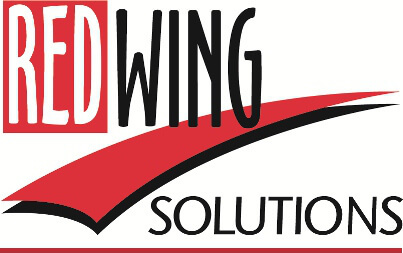 We at Redwing have had this debate and all concluded…yes. Staff may turn up for work having not drunk for hours, but alcohol affects us all differently and takes a long time to get out of our body. The after effects i.e. the hangover (don’t deny it, we’ve all been there thinking ‘big fish, little fish, cardboard box’ looked amazing at the time) causes headaches, sickness and tiredness to name but a few. So therefore, if your company vehicle driver or nursery worker who both have a huge responsibility to the safety and welfare of themselves and others, including vulnerable people, turned up to work hungover, you really need to consider safeguarding, health and safety, and welfare. Assess their condition. Should they be at work? Are they capable of carrying out their role? If the answer is no, then send them home, but do not allow them to drive home. Get someone to collect them, take them home yourself or pop them in a taxi. Do you have testing facilities on site? If so, test them to see if they are over the limit. Consider whether you would you feel comfortable knowing your employee was hungover, but they took the decision to drive to another site, and had an accident on the way there because they felt so rotten and tired? That could have been prevented. What if your nursery worker dropped a baby or had a short fuse because of being tired and hungover….consider how that could play out. The answer isn’t good. This is the same as if someone turned up drunk or smelling of alcohol. You would act! And so you should if they’re hungover. Investigate this as an incident, and instigate the disciplinary procedure if needed. By not addressing it, you could be seen to condone this type of behaviour, and others may feel they can do the same. This may be a suspension situation. By introducing an alcohol policy many employers introduce random alcohol testing to see what staff are turning up under the influence. If you are having a work related event and the following day is a working day, ensure that people are clear about what is expected of them. Explain what behaviour is expected. Explain the timings of the event, and emphasise that anything after the finish time is a private and not a company matter. Consider having the party on a Friday or Saturday night so to avoid an issue the following day. If people have been boasting about the great night they are going to have and fail to turn up the following day, then this is not acceptable. Return to work interviews are essential, especially around this time of year. If people know that after any absence they will need to sit down with their line manager and look them in the eye, it may make them think twice. If the company has a duvet day policy or something like this, then promote it! If people are able to work from home and the level of this increases, then this will need to be investigated – if they are hungover at home, they won’t be productive! And the temptation to power nap could be a little too much! It’s not just about being unfit to work, excessive drinking also brings more issues around social media, and saying things people shouldn’t about the company, their boss or colleagues! It can bring the company into disrepute and have consequences both internally causing arguments, conflicts and issues, and externally damaging the company’s reputation. Again communicate with your team, and remind them of what is acceptable, and the potential outcomes should people break these rules. So, decide on the boundaries, communicate the expectations and the potential consequences if the boundaries are smashed. Encourage people to have a merry but safe party season! You must also be consistent, if the employee of the year fails to turn up the day after the Christmas party, they must be treated the same way you would if it was the problem employee!! It’s a fine line between pushing people into turning up when they shouldn’t or not turning up. Let them know the impact it will have on the business and their work colleagues if they take the mickey and either come in hungover or not at all. Now we’ve put a downer on the season of cheer (sorry!!! We are very jolly really!!! ), we would like to emphasise its not being bah humbug – its about being transparent and managing expectations. We all want people to have lots of fun at this time of the year, but safely, and considerately. If you need any assistance, managing staff hangovers, please don’t hesitate to call us. If we sound a little tired, its not drink related… honest! 01527 909436.